Wishing everyone a Happy St David’s Day! 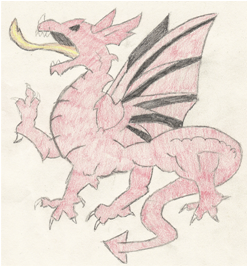 This entry was posted in On My Travels and tagged Cymru, St David's Day, Wales, Welsh. Bookmark the permalink. Awesome!! 🙂 What foods do you cook? & Did you draw the dragon? Happy (belated) St. David’s Day to you too! So cool! The only thing I can vaguely imagine is sausages. I’m getting hungry though, haha, might be time for brunch. 🙂 My father’s Welsh and St David is the patron saint of Wales, so we make a big deal of it by cooking lots of Welsh food.